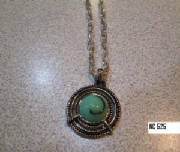 Light green stone Pendant with long silver plated chain. 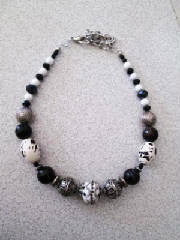 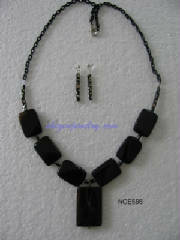 Black and White designer beads with silver accent strung with 4 Onyx beads, black crystals and white agate beads. 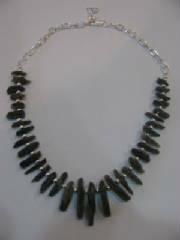 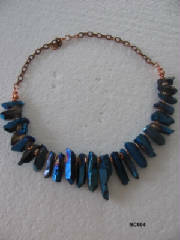 Dark green Kyanite spike beads accented by 4 mm silver plated round beads. 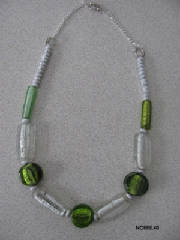 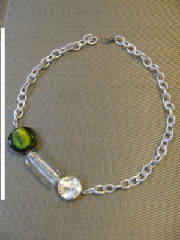 Lamp work green and white silver filled beads and one silver plated large bead with an asymmetrical. 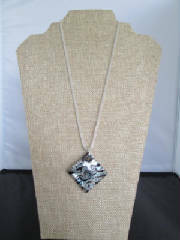 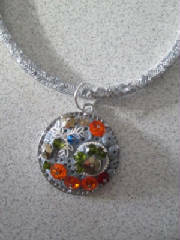 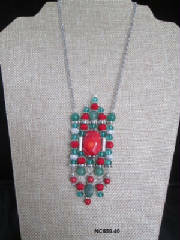 Silver net tube filled with crystals and a Polymer clay Pendant embedded with multi-color Swarovski crystals. 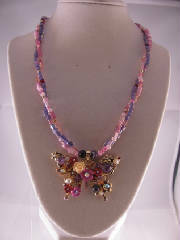 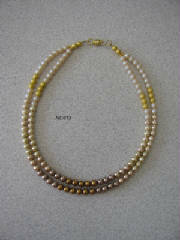 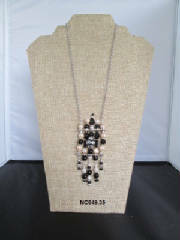 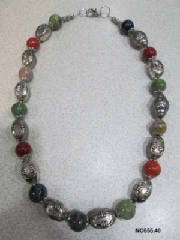 Multi-color long necklace spaced with silver plated end caps and large spacer beads. 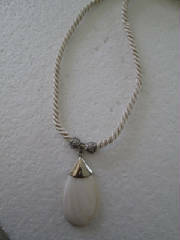 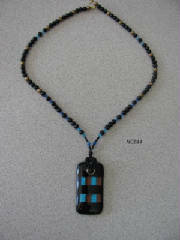 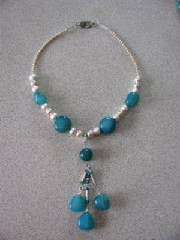 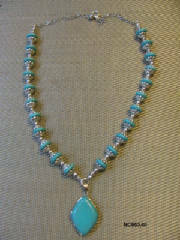 Framed Howlite pendant strung with howlite beads with silver plated caps.